Are you planning to purchase a surveillance camera system? Then you need to have a better understanding about the record equipment that can be used along with such a system. From this article, we will let you know about the most popular record equipment that come along with modern world surveillance camera systems. VCRs – The very first surveillance camera systems used video cassette recorders to save video footage into cassettes. It is a less expensive method available for capturing videos. However, the VCRs were equipped with a manual recording mechanism and people had to go through much hassle when saving the videos captured from cameras. This gave life to continuous loop tapes and time lapse VCRs. DVRs/NVR – Digital Video Recorders /Network Video Recorder captured the market after 2000s and it has become a common item in the modern world. They save recorded video files in digital format in the storage medium. This gas given them an excellent storage capacity. In other words, modern world DVRs/NVRS can record 100 hours of videos in digital format. They have also impressed the users with innovative features such as motion detection and trigger recording. Some DVRs that come along with surveillance camera systems can be connected to the home network via Wi-Fi or Ethernet cables..
manufacturers. They also have impressive features such as motion detection and sending alerts over the network. Capture Cards – Some surveillance camera systems don’t have network connectivity. Capture cards can be used with such security systems to record the videos in digital format. The best thing about capture cards is that they have the ability to record videos at a better frame rate without dropping signals. A wide range of capture cards can be found out there in the market and they belong to different price categories. The expensive capture cards can record videos from over 4 channels at once and they can be connected to the PCI cards of more than one computer. 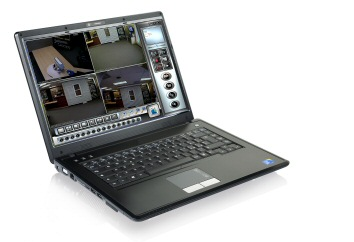 Hard Drives – Most of the modern world surveillance camera systems use hard drives to store the recorded videos. A large amount of storage data coming from different channels can be stored in hard drives. However,the hard drives have a higher rate of failure as they are used for a long period of time. You should have a computer based or stand alone surveillance camera system to use a hard drive for recording purposes.